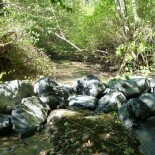 Much of lower Woods Creek has been scoured to bedrock, leaving little gravel to protect summer flows from exposure to solar warming. 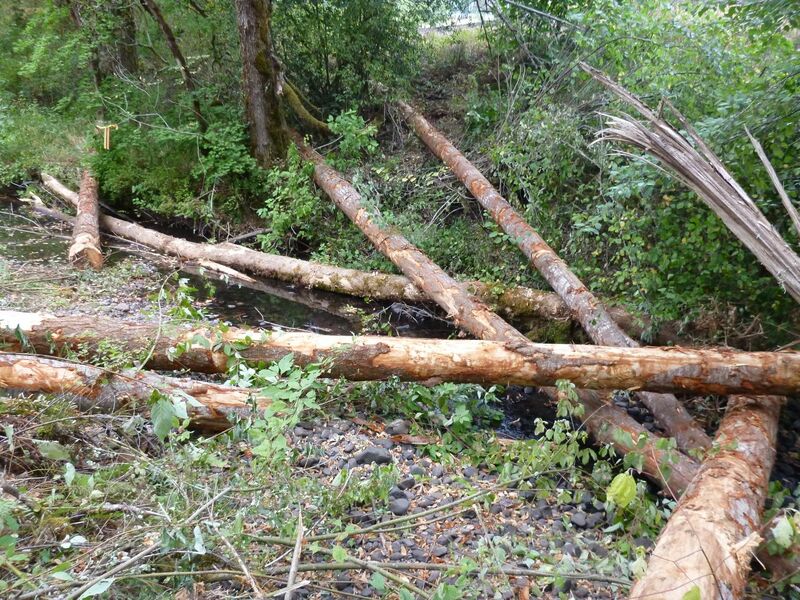 In 2014, working cooperatively with ten landowners, 8 boulder weirs and 6 log structures were installed on 1.5 miles of stream to begin the process of restoring this function. 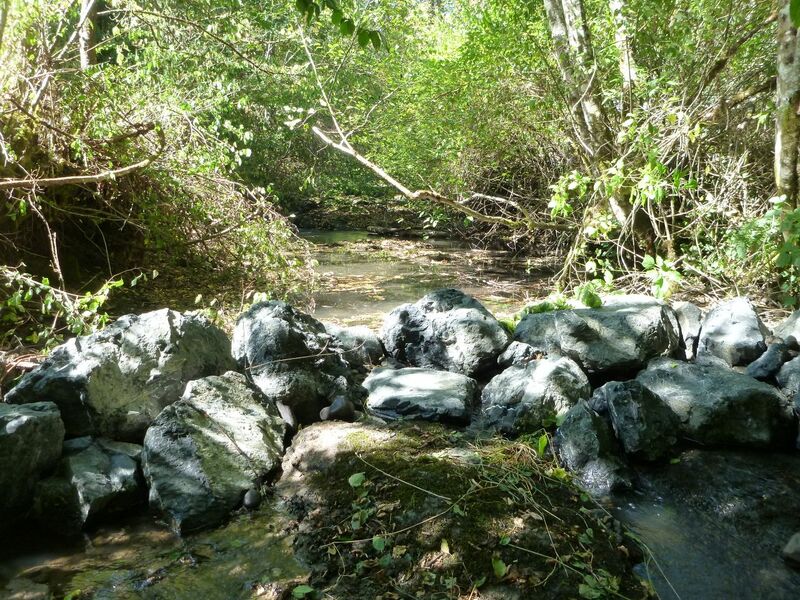 Use of boulder weirs to build up gravels in the stream bed is new to the Watershed Council. This method was chosen because of the closeness of building development to the stream. 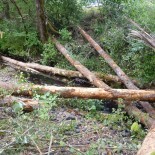 The final elevation of accumulations and water levels behind boulders is more controllable than behind log structures. 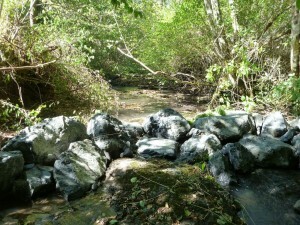 Support for this project was provided by the Coast Range Stewardship Fund and USFWS Finley Wildlife Refuge.